You probably remember the saying from the 1980s and early 1990s. And due to your age, you’re mostly likely a parent by now. “Just Say No” was a nation-wide school campaign against the war on drugs. The slogan was created by Nancy Reagan. The campaign was aimed to give kids the confidence to say no to illegal drug use due to peer pressure. The message was clear – get a backbone. Speak up. Don’t be a pushover. Just say no. I mean, I don’t know if that campaign worked on you. I will assume if you were a child of the 80s and 90s, you can still put the hammer down if someone asks if you want a hit of cocaine. But, imagine this – Stop saying yes to your kids’ cocaine requests. And I know they’re not asking for cocaine. I’m being dramatic. Nancy Reagan is looking down on us all and shaking her head- JUST SAY NO. 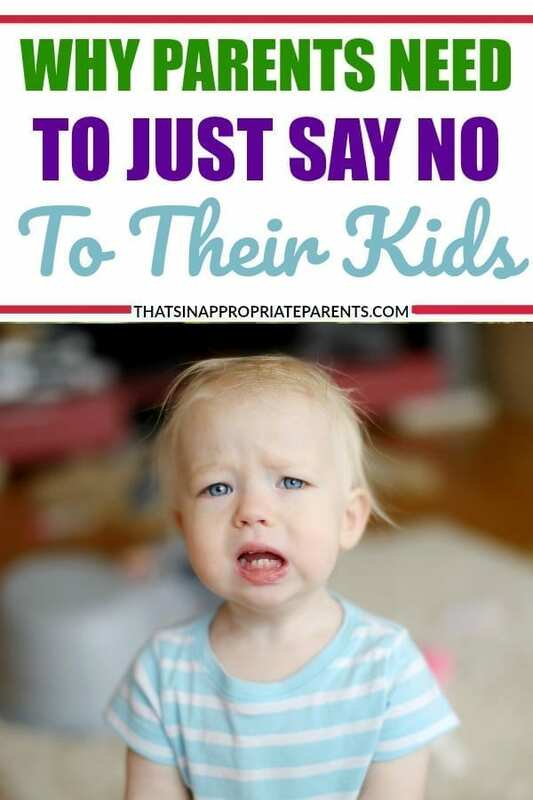 Some of you aren’t saying no to your kids. I don’t want to sound preachy. I get it. I do. Every generation wants to make it easier for the next. I don’t know any parent that wants to see their child struggle in life. It’s hard to watch a child grow through the hard parts in life. Your job as a parent is to raise a good person, not provide them with every luxury you wish you had at their age. If your 8-year-old asks you for a cell phone because all her friends have one – just say no. If your 16-year-old wants a brand new Jeep Wrangler for his first car – just say no. If your 4-year-old wants a herd of horses in your backyard for her birthday party – Hold on, I’m rubbing my temples – Just. Say. No. Your kids may not be asking for drugs or alcohol or the worst things in life but they are asking for everything else in between. I don’t blame them. We all did. Remind them that life isn’t fair. I don’t need to tell you that. We need to tell our kids. Our kids are living in a world with information in the palm of their hand. Classrooms in the United States could easily be pen pals with classrooms in England, if they wanted to. Our kids are already spoiled by the natural progression of technology. I promise you, they lead easier lives than the generations before them. When a child asks for a cell phone at eight or a brand new car at 16, you can say no. If a teenager drops their cell phone and shatters the screen, you don’t need to buy them a new one. Teach them about taking care of the things we own. Teach them about saving money. Teach them to stay humble on their birthday. Get a backbone. Speak up. Don’t be a pushover. We’re raising future parents. Just say no. Oh, and just say no to drugs too, kids. You know, so Nancy Reagan can eternally rest.